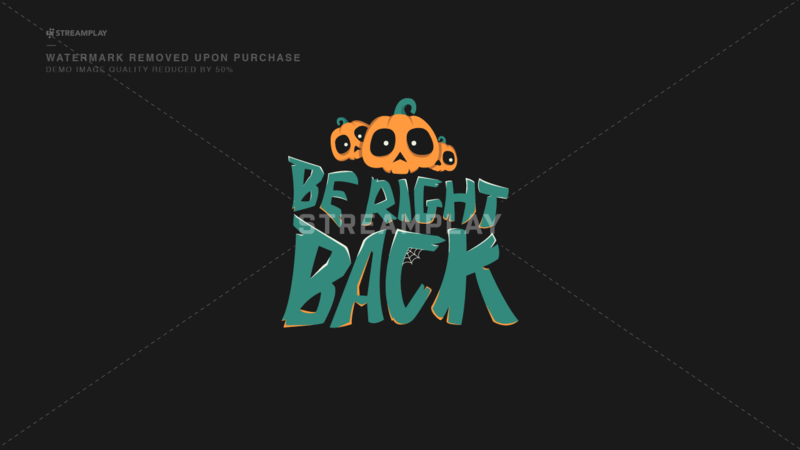 For streamers who love Halloween and want to put on the perfect costume for their channel! 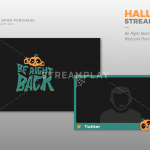 Our Halloween Streamer Package comes with a webcam overlay, and a stylishly designed BRB screen for those moments when you need to step away from the stream to hand out candy. For our customization options you’re able to change the colors to whatever you like, and add any social media/text you’d like on the cam overlay. 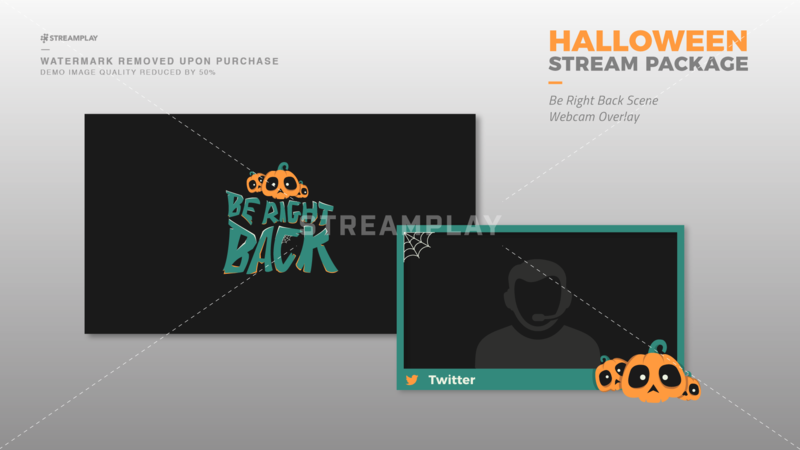 If you want just the webcam overlay, then click this link to get the Halloween Webcam Overlay. 1. 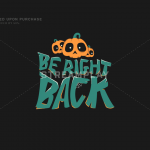 Download Default Graphics (+PSD Files) – If you don’t need any customizations (color/text), or want to make the edits yourself then this is the option for you. With this option you’ll be able to instantly download the default version of the Webcam Overlay and BRB Screen that will look exactly like preview images above, as well as a PSD file for you to customize yourself. With this option you’ll be able to let us know what edits you’d like made, then we’ll personally make those customizations for you then send your finished cam overlay to you via email once completed. 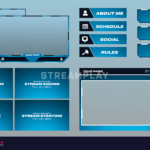 Can You Picture Your Stream Using These Graphics? 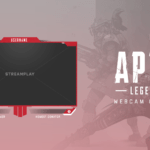 have this overlay and brb screen ready for the next time you go live! Includes a .png file for each graphic + the PSD files for editing. We'll customize everything for you and send the .png files once completed. If you're thinking about getting this, you should get this.